I’m packing for a week long trip to New York and am beyond excited to be traveling again. This month my husband and I are traveling carry on style again although since our trip is shorter than our month-long venture last year, packing will be much easier. I will try to blog while I’m gone but it may be a bit quiet on the blog. A full recap of my trip, visits, finds will be on the blog for summer travel but in the meantime you can follow me along on my travels daily through New York City and Brooklyn on social via Instagram @beautylookbook. As mentioned in previous posts, I tend to bring carry on luggage only for travel (most of my trips are shorter trips). This is for convenience and to help limit what I bring along with me. If I’m traveling with my husband efficiency is key because is has no patience to wait in lines to check luggage or pick it up at baggage claim. When we traveled through Europe bringing carry on bags only with us for 3 weeks and stopped at 9 cities via 7 flights. Having carry on luggage saved us hours of waiting. In case you want to see what I fit into last year’s trip you can see my Three Weeks in Europe with Carry-Ons. Fitting everything in such a small space is like playing a game of Tetris trying to make sure no space is wasted. This year is different. I’ll be in New York City and Brooklyn for a week. As I’m tying out this post I’m still trying to sort everything out for casual and business casual looks. Half of the time I will be able to be a tourist in New York, the other half is booked with meetings and a conference. I’ve found some really cute summer dresses from Nordstrom and Madewell. Ones that are forgiving for those who don’t have perfectly toned bodies. My biggest challenge right now is narrowing down what shoes to bring. I struggle between the desire to wear cute shoes and the need to be practical for such a short trip. Full recap of what I end up bringing and review of what worked and what didn’t to follow. Many of you liked my lessons learned posts last year. I know I always like reading those kinds of posts. Sometimes learning what not to do is just as good as the success stories. If you have any recommendations on where to eat in the city please let me know! On one of my trip days I will have a couple hours of downtime in Brooklyn – any recs for what to see in a short time would be awesome! P.S. I’m trying out some new carry on luggage courtesy of a company called Away (one shown above is Sand). They have one product which is a Carry On style luggage and it’s priced under $250. Their items come in a few colors and it’s equipped with a charging dock in the handle which is awesome. 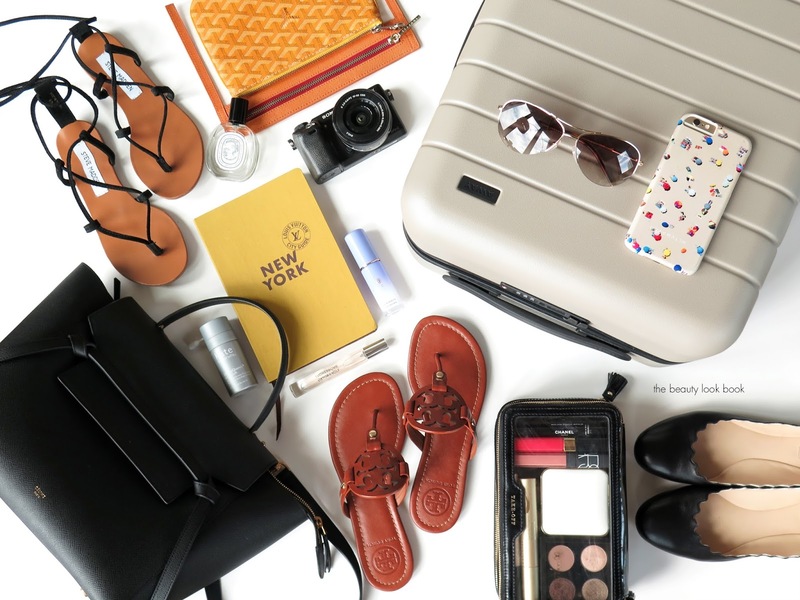 You can use this referral code to save $20 off your first suitcase order. Full review to follow!